Created for #AdvJam 2016. Sort of a rough draft, but is fully playable. I want to expand and improve this game in the future, however, so keep an eye on the GameJolt page or the forum thread for updates if you are interested in playing a more polished version. 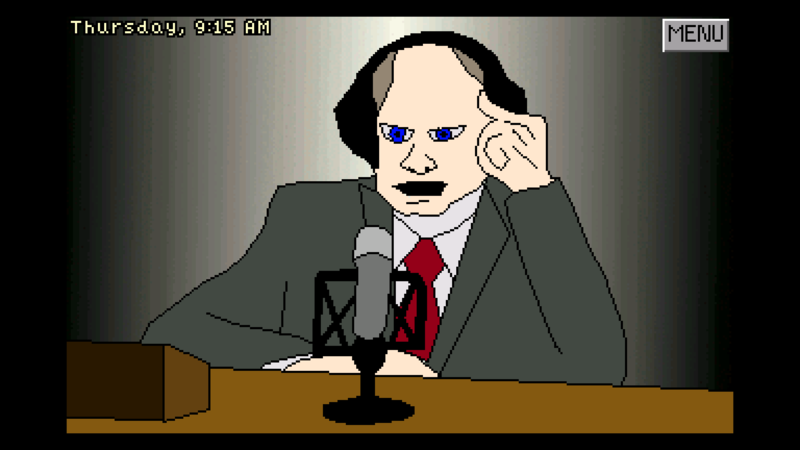 Frasier Crane is a wealthy and successful local radio celebrity. He has his own call-in psychiatry show, a posh penthouse apartment in Seattle, and a razor-sharp intellect. However, his father, Martin Crane, who lives with him, has recently been driving him up the wall. 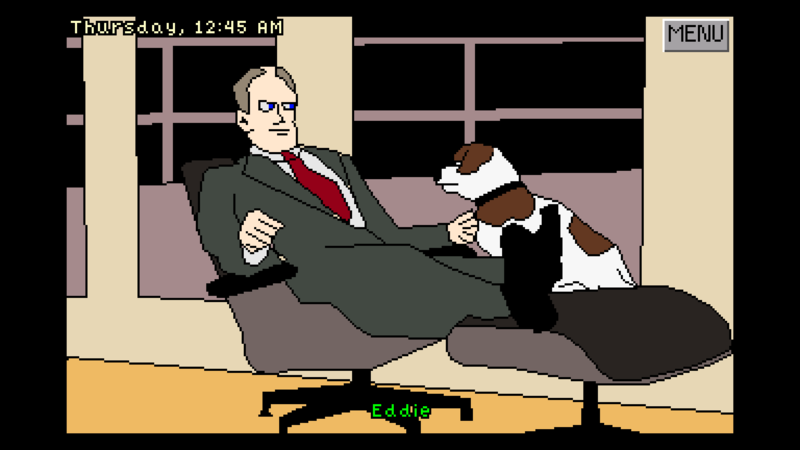 His dog, Eddie, constantly stares at him, his coarse, blue-collar demeanor clashes sharply with Frasier's high-brow sophistication, and, perhaps worse of all, is the ratty old chair he insists on keeping in the living room. It's enough to drive a man...insane. 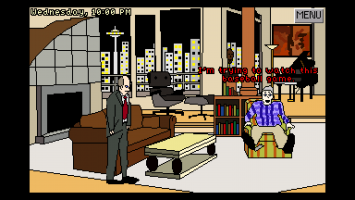 For a two-week effort, this game is quite impressive and really catches the tone of Frasier, but of course isn't without its downsides and the lack of sound and music is a shame. But it's packed with good jokes and the ending is well worth the 15-20 minutes it'll take to play this game. 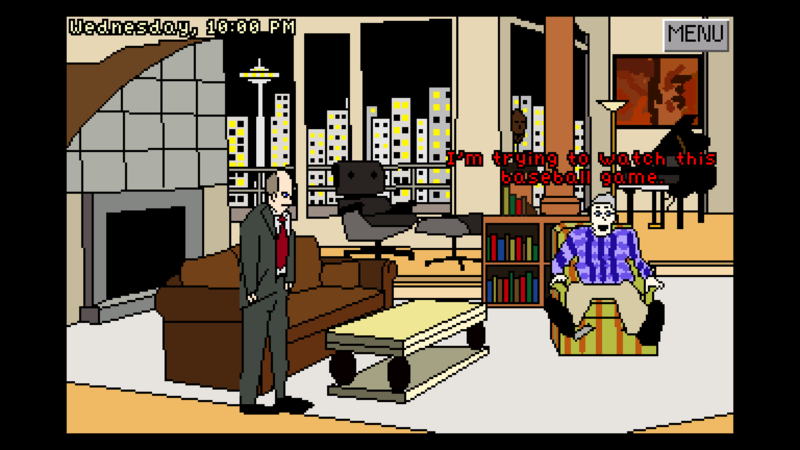 A must for Frasier fans. This was a fun but kind of dark game.